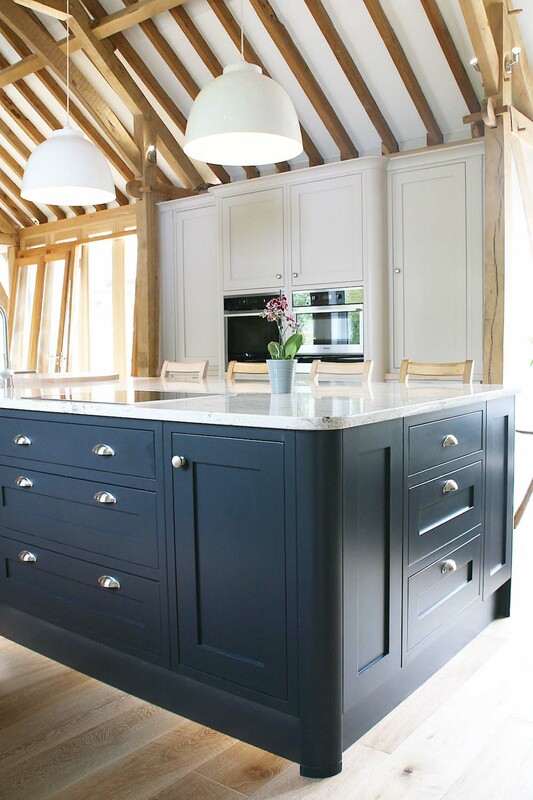 Thank you so much for an amazing kitchen. 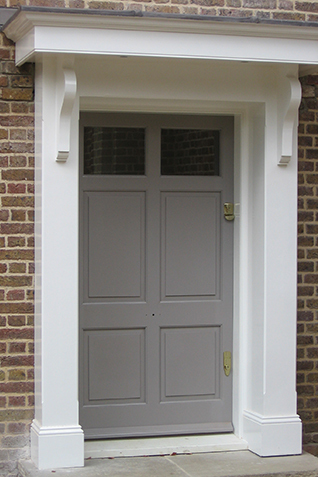 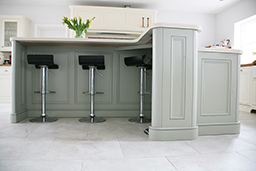 Professional, caring, understanding, your team are fabulous and we would highly recommend you. 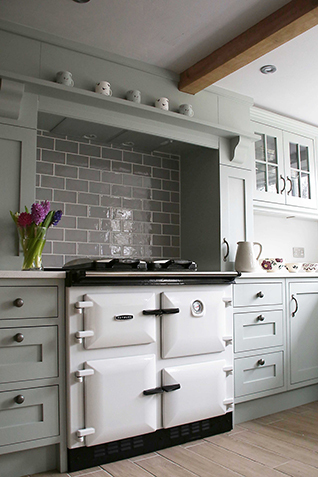 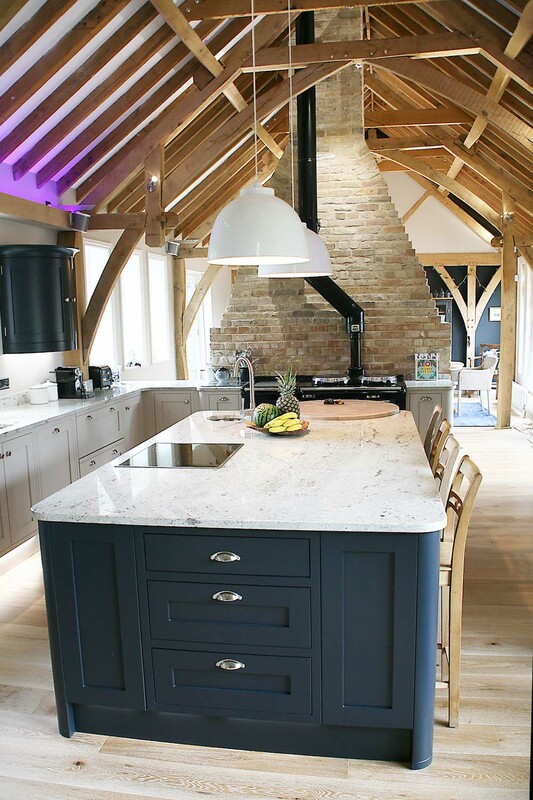 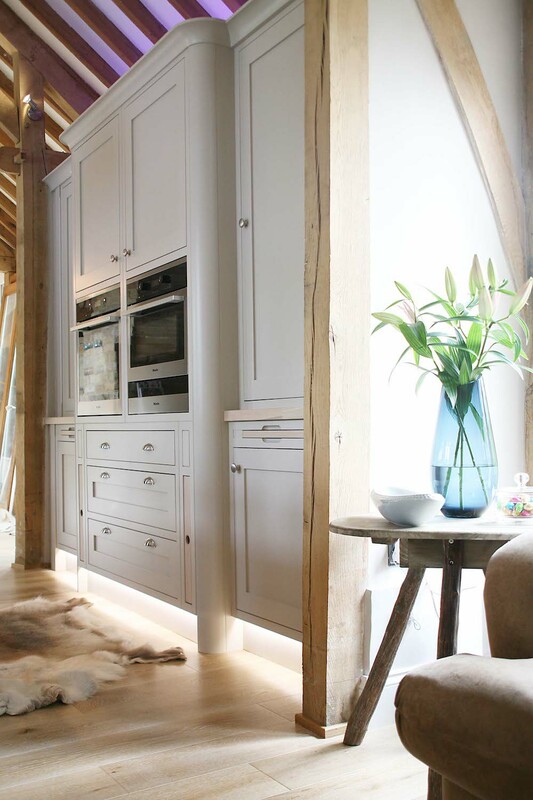 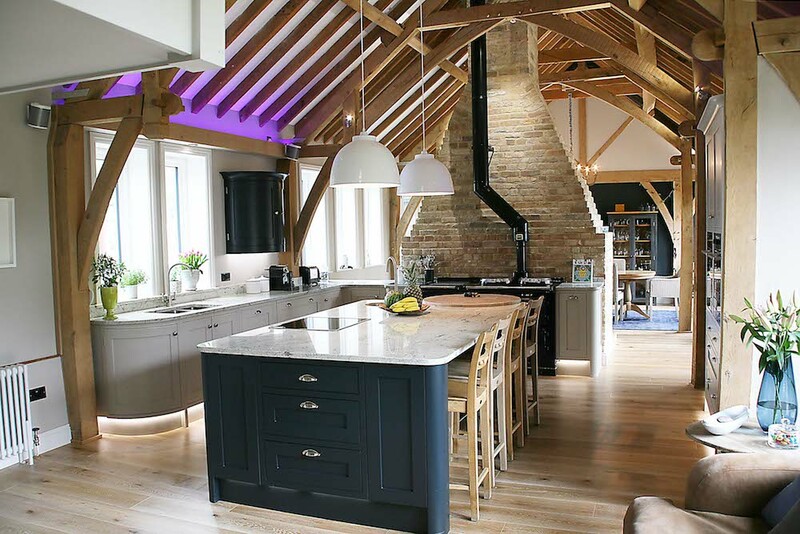 This stunning kitchen was installed in a barn conversion featuring a fabulous oak interior. 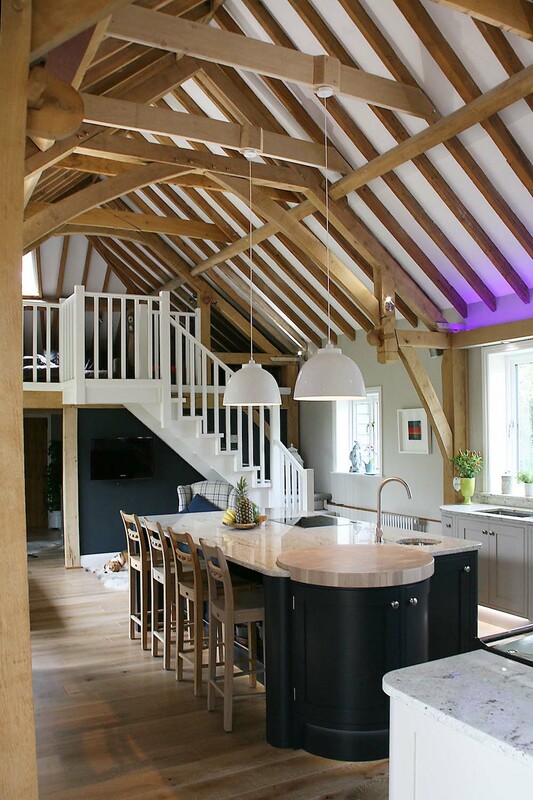 The kitchen design is sympathetic to the space with curved corners and cabinetry echoing the line of the beams. 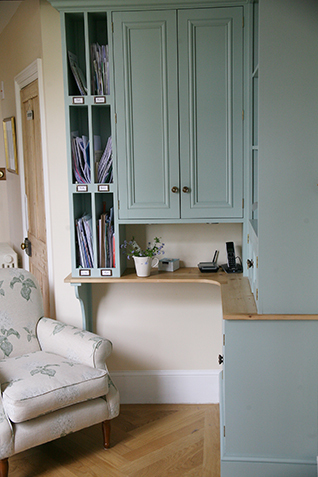 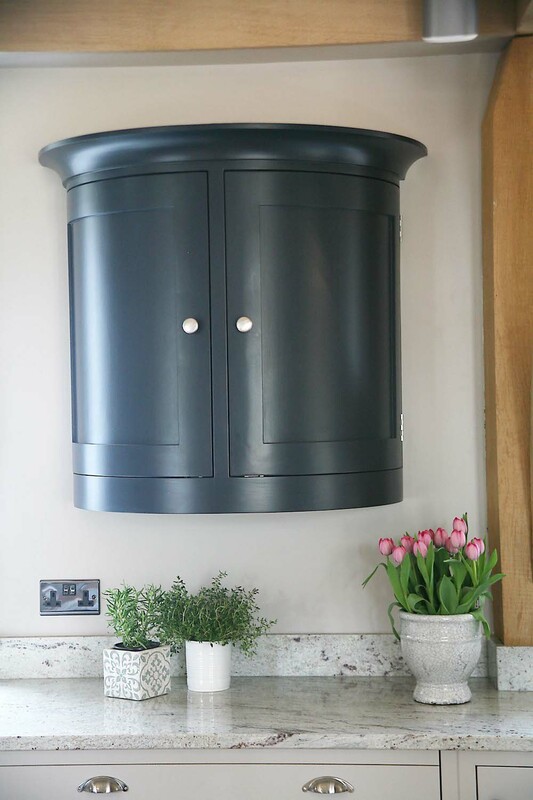 Hardwood cabinets are painted in Farrow & Ball ‘Elephants breath’ with the island in ‘Railings’ creating a striking contrast. 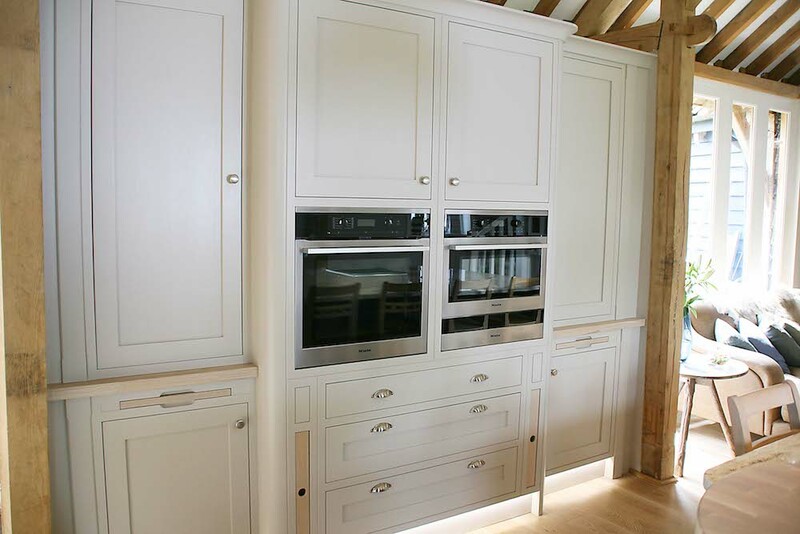 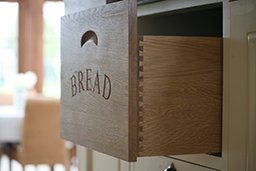 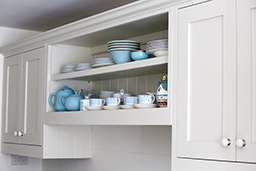 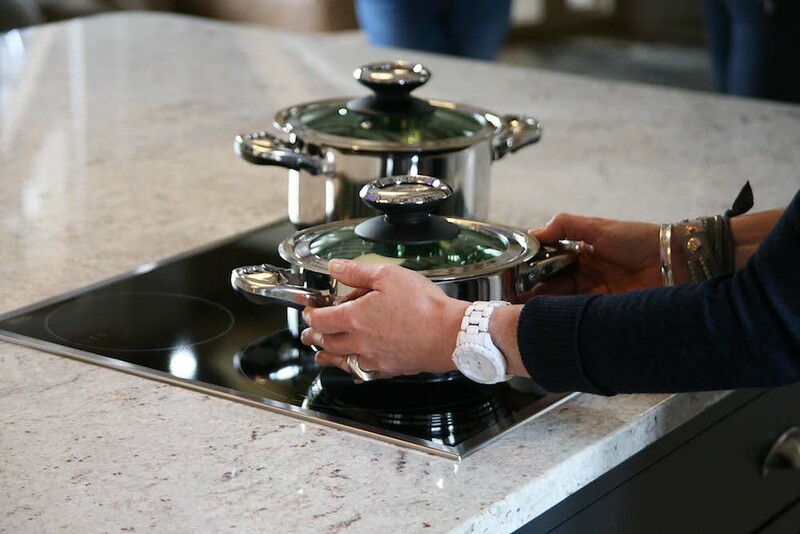 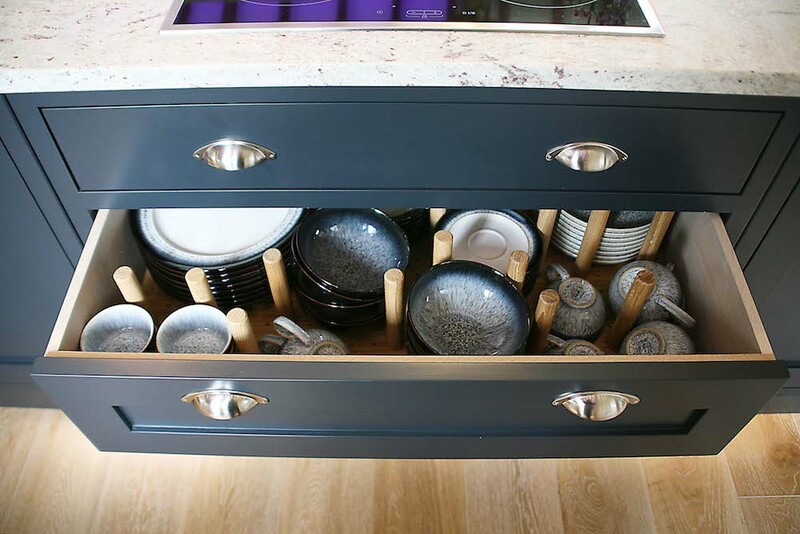 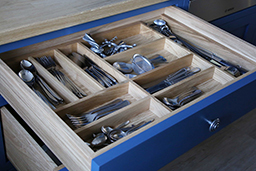 All wood finishes about the kitchen are in a pale lime wash oak including the interior of all cupboards, fitted trays and chopping blocks as well as the grand circular end grain ‘Butchers’ block on the island. 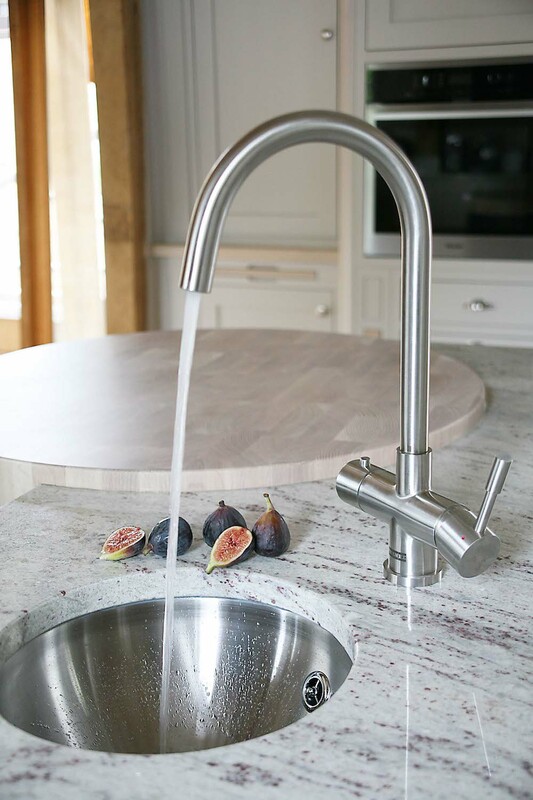 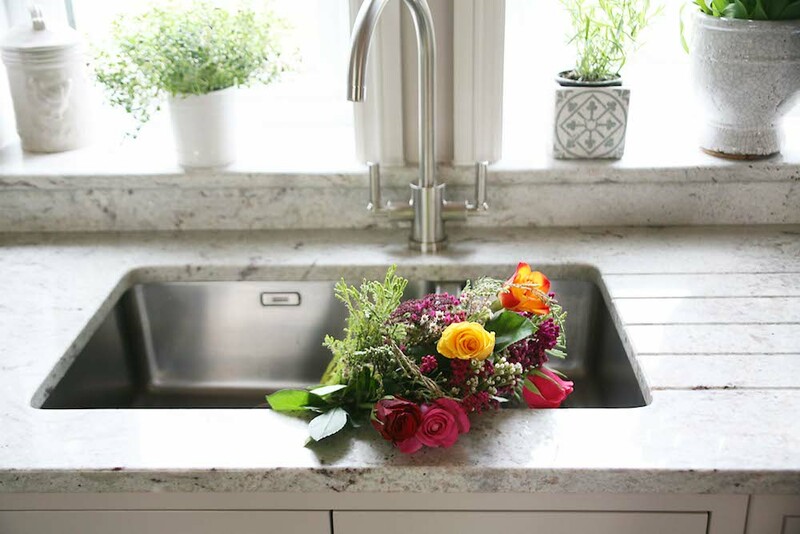 The worktop in Granite ‘River White’ compliments the cabinets with a pale base colour and natural pattern running throughout with grey veining and rust specks. 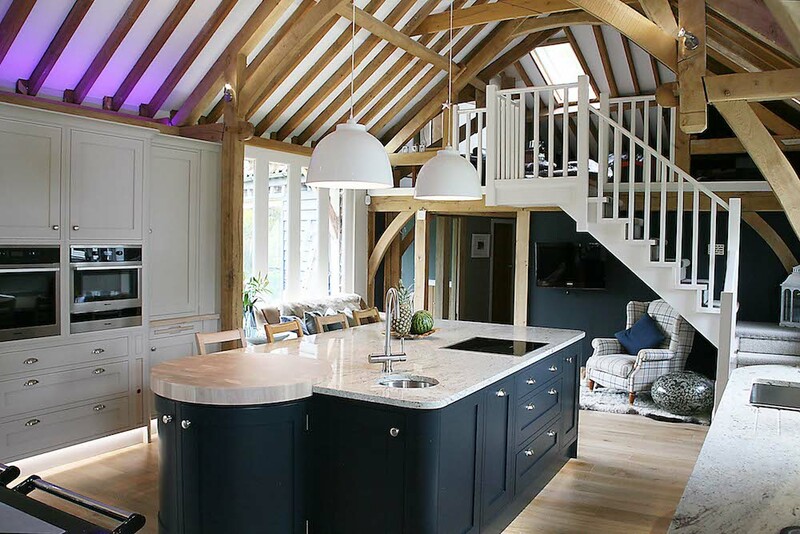 The Island is the focal point of this kitchen and a hub for entertaining with seating for four upon stools. 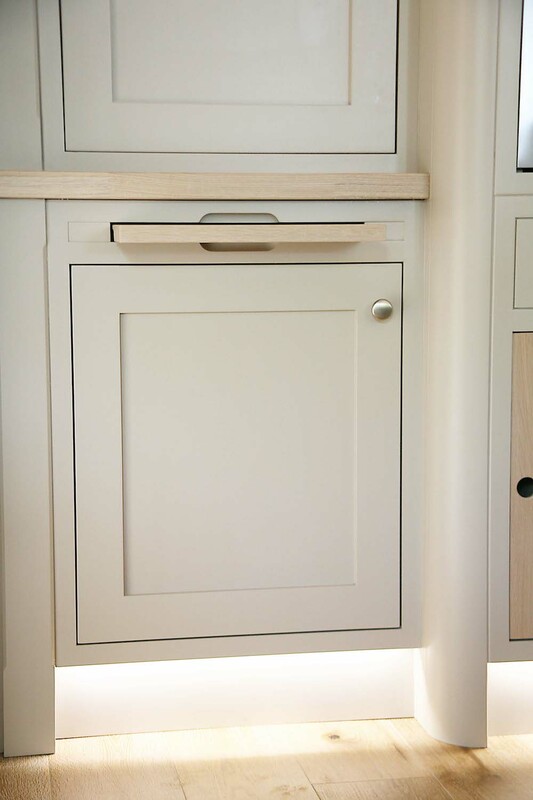 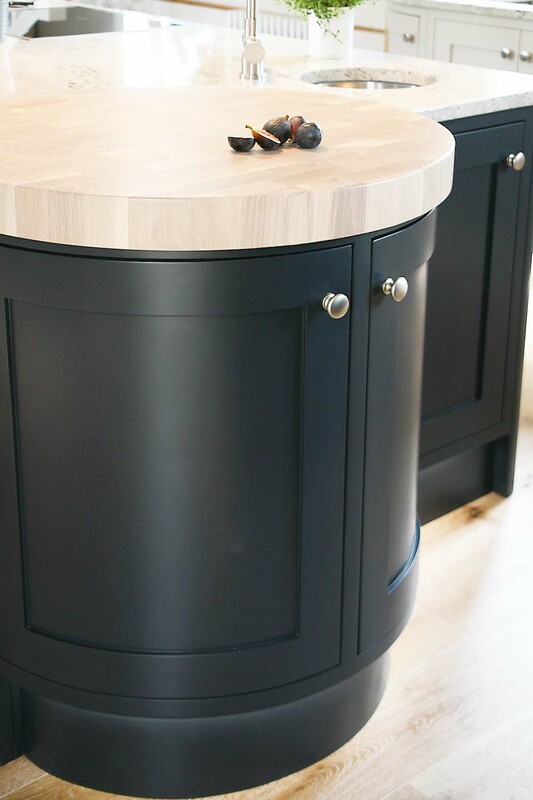 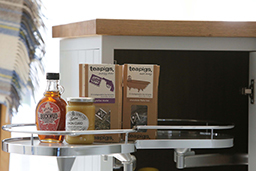 The Oak butchers block rests upon a circular cabinet with a small prep sink including a boiling water tap creating practical food preparation space. 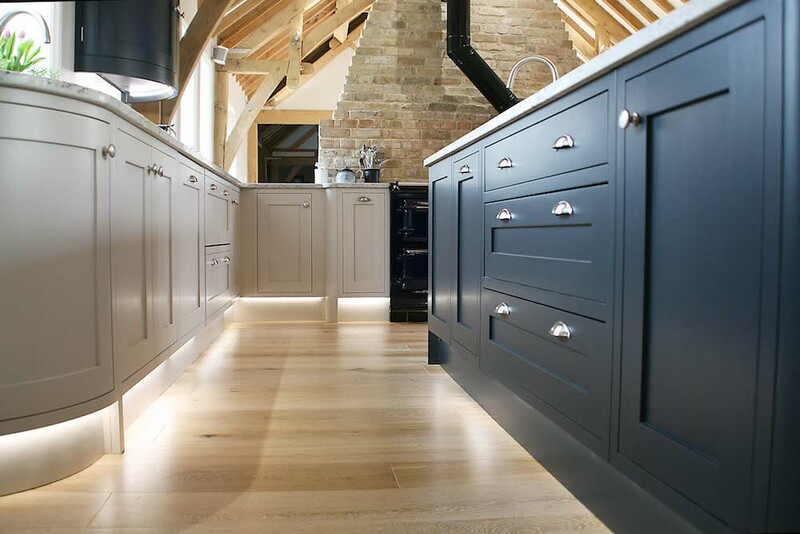 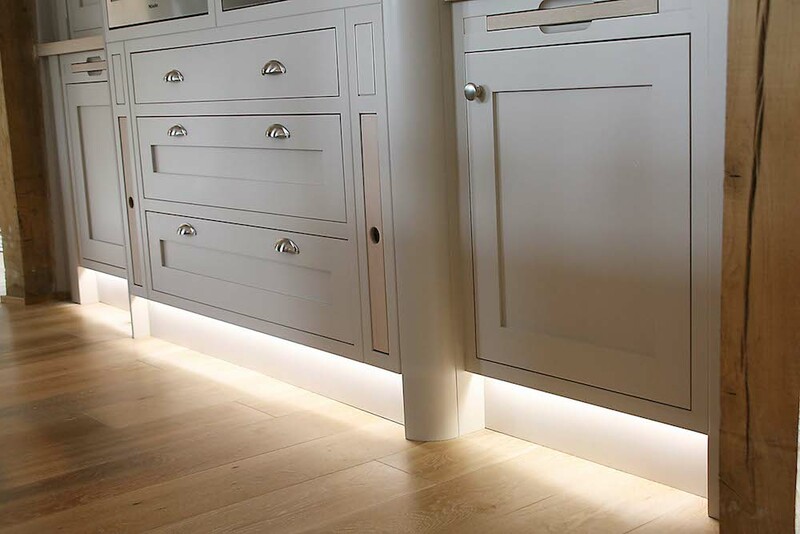 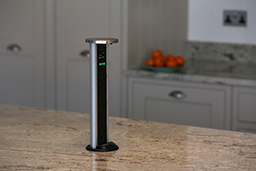 Coloured LED lighting was incorporated on unit kickboards as well as above top cupboards casting atmospheric ambient light about the kitchen, a modern twist in a traditional space.